30th Anniversary for Women Cantors Network! 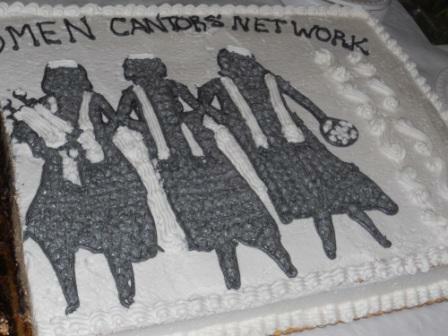 Congratulations to the Women Cantors Network who recently celebrated its 30th anniversary at a conference in Newton. This is big news because for centuries, women were not allowed to lead prayers in the synagogue, and now, starting in the 70s for Reform cantors and the 80s for Conservative cantors when they were first ordained in the seminaries, the role of the female cantor has blossomed nationwide. From far and wide, 100 women cantors gathered mid-June at Temple Beth Avodah in Newton to celebrate the 30th anniversary of the Women Cantors Network. In prayer and song, in workshop and lecture, the members learned, sang and worshipped together over the course of three and a half days. They’ve come a long way, baby! Although women have only been invested as cantors since the mid-70’s, they now make up a large part of the graduating class from the conservative and reform seminaries. And that doesn’t take into account the many women cantorial soloists and prayer leaders across the country who were also in attendance at the conference. The remarkable growth and acceptance of women cantors caught the eye of Rachel Adelstein, a doctoral candidate from University of Chicago, who came to interview the women for her dissertation. “Literally in one lifetime — mine — women cantors have gone from being a rarity to being so common that I was well into my thirties before I even met a male cantor,” said Adelstein. “Cantor Sheila Cline, whom I met at the conference, was the second female graduate of Hebrew Union College’s School of Sacred Music. She graduated the same year that I was born!” Others came for support from the “veteran” members, such as Cantorial Soloist Jane Roman Pitt from Fairfield, Iowa. “I had to gather my courage to come as I didn’t know anyone,” she said. 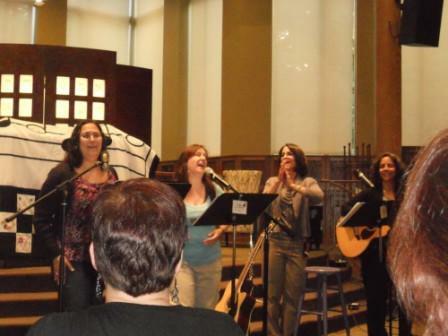 Beth Avodah Rabbi Keith Stern, who joined Glickman and other WCN members in leading the opening night worship, commented on the inspiring nature of women leading services in song. “’Kol Isha,’ boy, those guys never heard these women,” he said, referring to the ancient rabbinic prohibition against hearing women sing.